In the regime of Belarusian president Alyaksandr Lukashenka, even absolute loyalty fails to guarantee security and comfort. 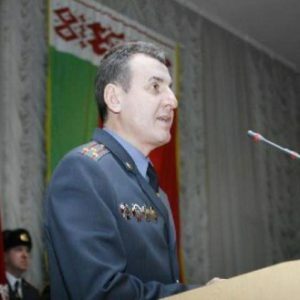 Last week, a military court sentenced General Ihar Azaronak to nine years in prison. The former commander of the Belarusian air force and air defense was arrested immediately after the fraudulent presidential election a year ago. The fact that the arrest coincided with the elections provoked much speculation. But in issuing its verdict, the Military Prosecution Office quite expectedly did not cite political details, instead charging Azaronak with corruption. Because the trial was closed to the public, and the Belarusian media was unable to investigate, the details of the case remain obscure, as do the details of another recent high profile case. One week earlier, the Belarusian Deputy Minister of Internal Affairs, Colonel Yauhen Poludzien, was also arrested in Minsk. He has been charged with abuse of power. As in the case of Azaronak, the public has been kept in the dark about the fate of one of the highest officials in the Internal Ministry. Poludzen played an active role in persecuting protesters in Belarus – but his arrest is likely unrelated to this. Rather, it follows the pattern of repressions against nomenclature established years ago. Lack of transparency is an important feature of the Belarusian regime. In October, a high official from the Environment and Natural Resources Ministry was ousted for an unexplained "misdeed unacceptable while in public service." The director of the main propaganda outlet of the Belarusian regime – Belarusian state TV – was dismissed on the same charges. By the late 1990s, Lukashenka closed most free media outlets that emerged after the Soviet collapse and criticized the more liberal policies of his predecessor, Prime Minister Viachaslau Kebich. In the 2000s, state officials were been banned from speaking to the media without the permission of their superiors. Independent media gained even less access to official comments from government agencies. Such a closed system is particularly damaging to victims of injustice in he absence of a functional and transparent justice system. The courts apparently follow the government's orders, and there are no media channels for appealing to public opinion. Even so, Lukashenka claims to take public opinion into account. He has recently admitted to considering public opinion in his evaluation of capital punishment. Regime insiders have also acknowledged off the record that the decision to ban the gay parade in Minsk last year was taken after conducting public opinion research. Who Has to Fear in Belarus Today? Even among the country's nomenclature, the arbitrary nature of justice causes fear and uncertainty. Absolute loyalty to Lukashenka provides no guarantees. Colonel Poludzen was certainly loyal – he oversaw the police beatings and kidnappings of participants in the silent protests this year, and has earned a travel ban from the EU. Nonetheless, he was arrested and charged. Poludzen was not the first and certainly not the last "insider victim". In another remarkable case in 2008, the public prosecutor of the Minsk Province Mikhail Sniahir was sentenced to seven years in prison for corruption. However, the regime insiders jailed on corruption charges have a chance to be pardoned and may even return to high-ranking positions. In 2008, for instance, the Supreme Court sentenced Alyaksandr Barouski, the Former Director of the largest state-owned oil company Belnaftakhim, to five years for "abusing his official position". But already in 2009, Barouski was appointed General Director of MAZ, a major Belarusian truck-building enterprise. A similar case of a corrupt high-level official in police department of Hrodna Province being pardoned happened last year. Lukashenka really has many reasons to fear the nomenclature, as he cannot satisfy their growing material demands. Notably, recent amendments to Belarusian legislation which extend the powers of the security services seem to be an attempt to increase control over regime insiders, rather than a move to persecute a democratic opposition already demoralized by past crackdowns. It is possible that parts of the nomenclature, with the support of influential groups in the Russian leadership, will remove the Belarusian leader. For now, it is the foremost threat to Lukashenka's survival. Belarusian officials do not have the guts to effectively resist the regime on their own. Their dissent could be exploited by an external force – most likely from Russia – to make Lukashenka understand his vulnerability and dependence on Moscow's goodwill. This is one of the most popular theories which explains the crackdown which followed the December 19 presidential elections last year. Its only geopolitical beneficiary was Moscow. Under these circumstances, it would be crucial for the West to view the situation in Belarus not only through democracy and human rights lenses. The most important task at the moment is to maintain the independent existence of Belarus as a European nation. Europe should articulate other, non-Russian prospects to the regime incumbents to make them understand that they can lead comfortable lives without Lukashenka and without resorting to the illegal practices of the current regime. After all, the uncertainty of life in Belarus and the vulnerability of Belarus' national independence is already evident even to the regime's loyalists, who also want to have guarantees against arbitrary detentions and prison terms if they play by the rules. Not a single serious political group – either within the regime or in the opposition – wants to live in a marionette state controlled by corrupt officials in Moscow. But their opinion may no longer matter because the external factors could prove much stronger. EHU: Belarusian University In Exile or For Exile? Last month the Belarusian youth web site generation.by published a diagram showing that 2/3 of European Humanities University (EHU) graduates do not return to Belarus after completing their studies. According to generation.by, the data came from a poll of 2011 graduates of bachelors' programs published on the EHU website. The university described this information as false and explained that it was a mistake by their website administrator. This has raised a heated discussion in Belarus in which many questioned whether it was a good idea to spend Western money to help people to leave Belarus. The argument is that the very reason for the existence of the EHU is to raise and nurture a new Belarusian elite rather than to stimulate immigration. 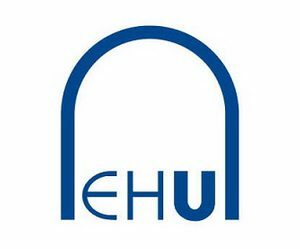 Established in 1992 in Belarus, the EHU had to move to Lithuania in 2005 because of pressure from Belarusian authorities. The exiled university found its new home in Vilnius, which is just a three-hour train ride from Minsk. According to a Radio Free Europe interview with the EHU Rector Anatoli Mikhailov, since 2006 the number of EHU students has risen tenfold. Currently around 1800 students are enrolled at EHU, more than 98% of whom are Belarusian. Darius Udrys, EHU's vice-rector for development and international relations who took his position earlier this year, explained to Belarus Digest that the actual figures of those who return to Belarus are not so low. Surveys of 2009-2010 graduates of EHU's full residency BA programs showed that about 37% returned to Belarus after graduation. 43% chose to continue their studies, enrolling in MA programs and 26% of respondents enrolled in MA programs at EHU and 17% at other universities. Those who reside in Vilnius during their BA studies constitute a minority of EHU students. It is not surprising that a significant number of EHU graduates prefer to pursue study and work opportunities abroad. The young and ambitious may have a hard time finding jobs in Belarus. Belarus today does not need people with strong knowledge of foreign languages and a Western education. The Belarusian state-owned economy is subsidized by Russia and does not have to be efficient to survive. Foreign investors are scared to go to Belarus because of legal instability and pressure from some opposition groups which see them as "bailing out the regime". As a result many EHU graduates cannot find well-paid jobs in Belarus and look for more lucrative opportunities abroad. It is hardly possible to blame them or the EHU for this. A proper system of incentives could encourage students to return to Belarus and use their education for the benefit of their country. Students could be asked to work in Belarus for a year or two if they received financial aid for their studies. Such a requirement would not be unprecedented. For instance, a large number of academic visitors to the United States are subject to a two-year home-country physical presence requirement. This is how the United States ensure that the education of foreign students paid by the US tax payers in the form of scholarships actually benefits the students' home countries. It appears that the money spent on the EHU may not wasted even when EHU graduates decide not to return to Belarus immediately after completing their studies. Changes will not happen overnight in Belarus and a long-term perspective requires the preparation of a new elite. The country's transition will be less painful if well-educated Belarusians who have studied and worked in democratic societies are in charge. No other country will offer EHU graduates a better opportunity to work in senior government positions to implement changes than their own. However, EHU graduates are more likely to consider going back to Belarus in the long-run only if they are genuinely interested in Belarus, not just in learning technical skills and foreign languages. Is the EHU doing enough to cultivate such interest? One of the hotly debated topic related to the EHU is the use of the Belarusian language and the identity of the EHU as a Belarusian institution. In an online conference on Radio Liberty in April, the Rector of the EHU Anatoly Mikhailov faced allegations that the university administration does not appreciate the value of the Belarusian language. Some argued that the EHU is a cosmopolitan Russian-speaking university without a focus on Belarus. When the rector and two of three prorectors do not speak Belarusian, it is difficult to expect that they will encourage its use. A recently announced vacancy for the EHU Head of International Relations Unit mentions that the applicants should have knowledge of English, Russian and Lithuanian. Belarusian is not mentioned at all. The Belarusian language is in a difficult situation today. According to the 2009 official census, 53.2% of Belarusian residents considered Belarusian to be their native language and 23% predominantly speak it at home. To illustrate the trend, in 1999 73.6% considered Belarusian their native language and 37% used it at home. The position of the language is getting weaker, not least because the pro-Russian authorities of Belarus often openly discourage its use. Aliaksandr Lukashenka speaks Belarusian when he wants to mock opposition and human rights activists. The lack of state support is one of several reasons why the majority of the urban population in Belarus understands Belarusian but speaks predominantly Russian. It is not surprising that some students find it difficult to study in Belarusian. Learning materials in Belarusian are hard to find and often nonexistent. Moreover, because the Belarusian national identity has been suppressed for such a long time, many simply lack the patriotic feeling and respect which most other nations of the region hold in relation to their native languages. In the context of contemporary Belarus, the situation with the use of the Belarusian language at the EHU is not so bad. Darius Udrys explained to Belarus Digest that no university in today's Belarus offers more courses taught in Belarusian than EHU. According to him, about 25% of EHU classes are taught in Belarusian and the EHU's required core curriculum includes courses on Belarusian history and culture. Although some question the accuracy of the 25% figure already aired before by Anatoli Mikhailov, several classes, mostly related to Belarusian history and cultural heritage, are indeed taught in Belarusian. Fr Alexander Nadson, who directs Belarusian Library in London and is regarded as a strong moral authority among Belarusian-speakers, also thinks that the situation of the Belarusian language and studies at the EHU is better than at most Belarus-based universities. His impression is that the university does permit instruction in Belarusian, and that its department of Belarusian studies is conducting a number of important projects. In 2008, the EHU awarded Fr Nadson an honorary doctorate. Darius Udrys says that the university plans to replace Russian-language modules with English-speaking modules to respond to new trends and student demands. 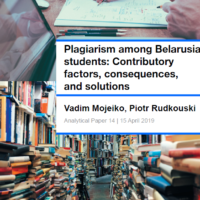 Student demands are indeed importantm but so are the reasons for establishing the EHU as a center of research and teaching activities focused on Belarus. It appears that more English-language teaching should go hand in hand with the encouragement of the usage of the Belarusian language. With Russia's more assertive policy and uncertain prospects for a democratic Belarus, the cultivation of its national identity may be easier to achieve than democracy for Belarus. Belarus needs an elite with a well-articulated national identity to make its statehood sustainable and democratic. When British historian Norman Davies presented his new book "Vanished Kingdoms" earlier this year, he used Belarus as an example of a nation without a mature elite. According to him, a fragile Belarusian state emerged after World War I, and Stalin purged nearly all its national elite in the late 1930s. In his opinion this is the main reason why today Belarusians cannot govern themselves other than by a "teapot dictator" like Lukashenka. Norman Davies added that it usually takes time to form a demos and a self-sufficient political entity. The role of exile intellectual centers is difficult to overestimate. For instance, in the period from 1890 to 1904, around 2,500 book titles in the Lithuanian Latin alphabet were published outside of today's Lithuania – mostly in Tilsit, a city in East Prussia. These publications and the Lithuanian intellectual movement in East Prussia played a crucial role in the formation of a modern national identity for Lithuanians and their statehood. The EHU could conduct more serious research on current political and social topics and go beyond giving technical and foreign language skills to its students. The university could not only tolerate but actually encourage the use of the Belarusian language in teaching subjects beyond Belarusian history and culture. This could be coupled with creating incentives for graduates to return to work in Belarus. The Belarusian elite of that time lacked a similar safe haven, which made its nation-building task more difficult. With the EHU's help, Vilnius could become a Tilsit for Belarusians.